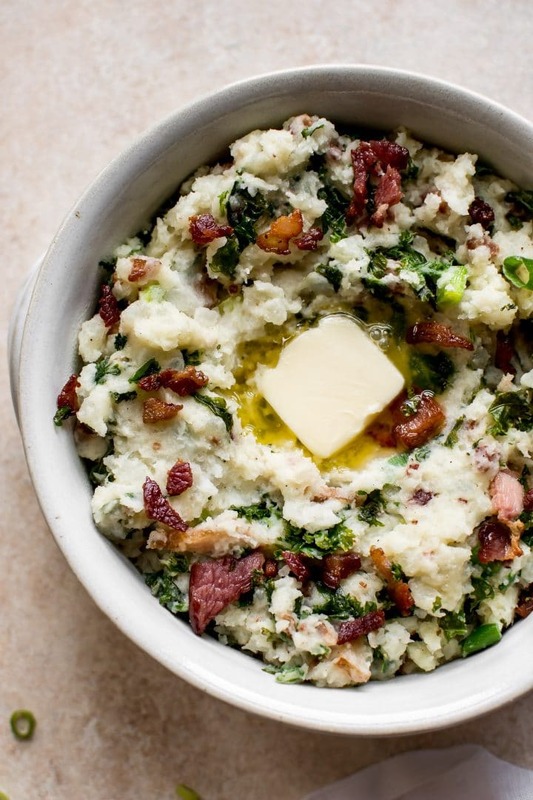 Colcannon is the perfect comfort food recipe for St. Patrick’s Day. You’ll love these classic Irish mashed potatoes with cabbage (or kale) and the addition of crispy bacon! It’s a traditional Irish and Scottish dish made with potatoes and cabbage that are typically boiled and then mashed together. There’s plenty of variations out there (including replacing cabbage with kale). This version adds bacon and scallions! 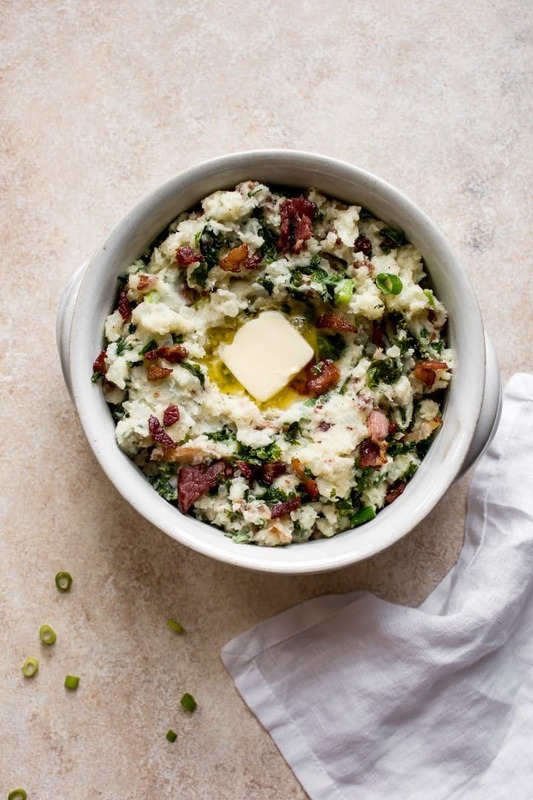 Making colcannon is really easy… it’s basically just mashed potatoes with some extra yummy stuff added. I seriously can’t believe it’s taken me so long to put this recipe on my blog. Boil your potatoes until very tender; drain. Meanwhile, cook the bacon pieces until crispy, then add the kale or cabbage to the skillet and cook until tender. Add the scallions and cook for a minute or so. Mash the potatoes with the butter and cream. Add the skillet contents and season as needed. Serve with plenty ‘o butter. I really hope you will enjoy this loaded up Irish colcannon recipe! 🙂 I also have an Instant Pot colcannon recipe that’s vegetarian if you’re interested. 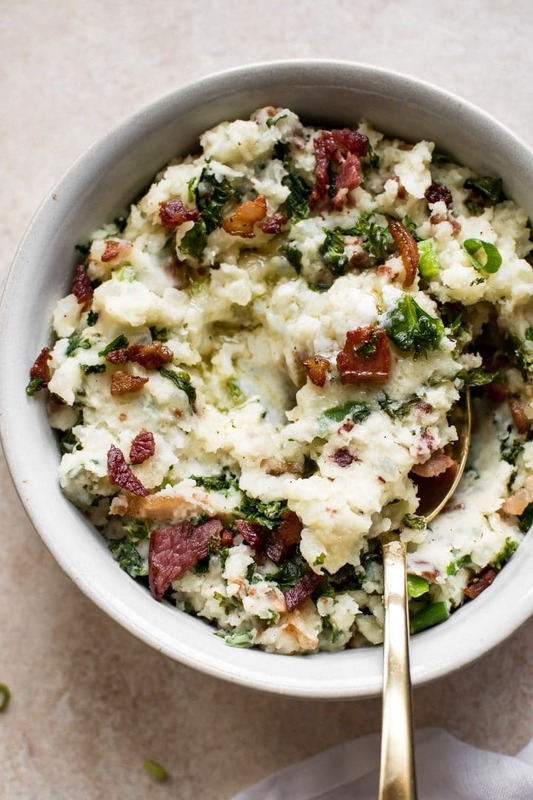 Colcannon is the perfect comfort food recipe for St. Patrick's Day. You'll love these classic Irish mashed potatoes with cabbage (or kale) and the addition of crispy bacon! Cook the potatoes in a large, salted pot of boiling water until they're good and tender. Drain when they're cooked. Meanwhile, cook the bacon until it's just crispy over medium-high heat in a skillet. Once the bacon is about done, add the kale to the skillet. Cook it until tender (about 4-5 minutes). Add the scallions to the skillet and cook for a minute or two (just enough to take the sharp edge off). Mash the potatoes with the cream and butter. Add the kale mix to the potatoes and mash it in until it's completely incorporated. If needed, add some salt & pepper. Serve with a generous pat of butter on top. Enjoy! Looking for more easy St. Patrick’s Day recipes? 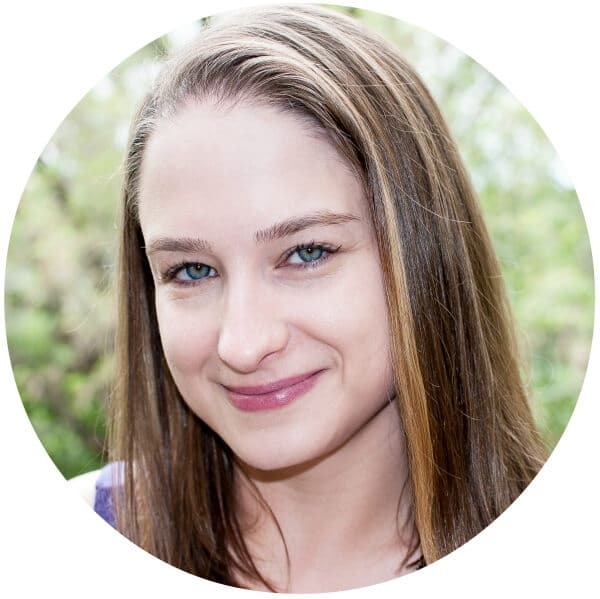 You may also like my Irish whiskey pork chops, matcha cookies (they’re naturally green), Instant Pot Irish stew, or my grapefruit Irish Mule recipe.